Inder Loves Folk Art: Fortune cookie. 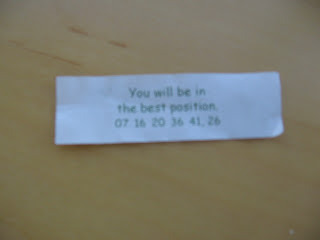 Today I had lunch with my LA buddies at our old haunt, Taipan Chinese, and I got the most suggestive fortune ever. It seems like it was written with the "in bed" ending in mind. I know, I know, sucky photo. But it's hard to focus on such small print!